Rescue Runts are adoptable pets that you rescue, groom & love! 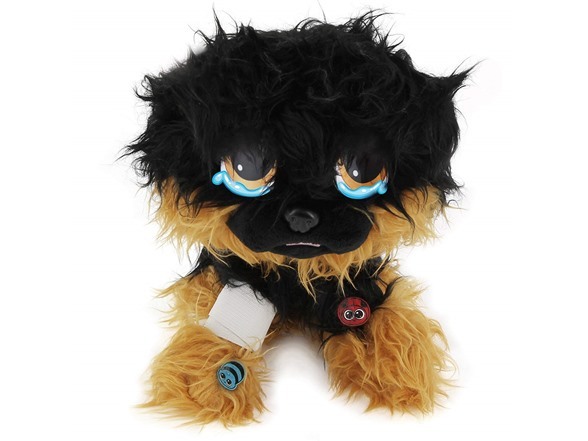 these Super soft plush puppies need love and care to go from ragged Runts to perfect pets! 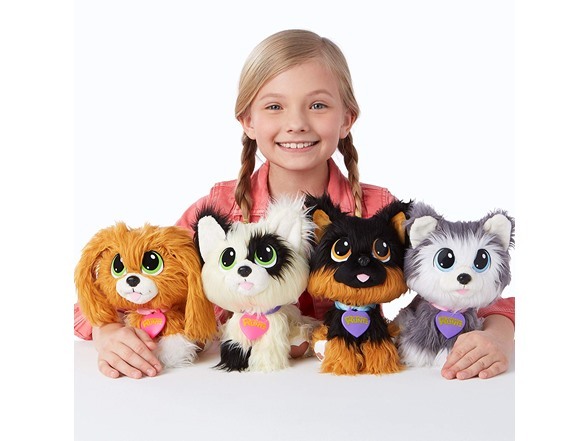 Rescue Runts arrive on your doorstep with matted fur, dirty paws, bandages and Fleas. Care for your rescue runt using the included tweezers, towel and brush to remove their Fleas, wipe away their tears, clean their paws and comb their fur. Remove their bandages and perk up their ears to complete the transformation! choose a name to write on the collar to make the adoption official. 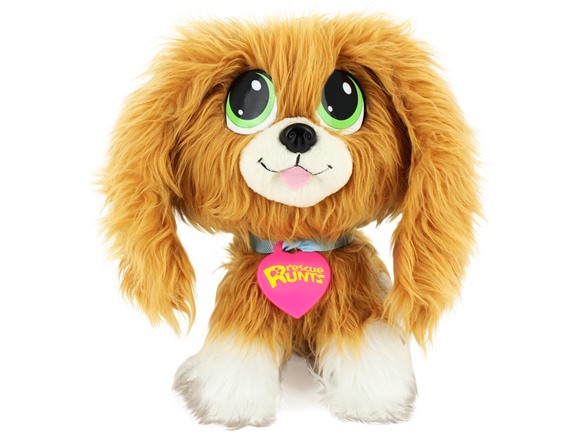 Rescue Runts’ messy fur, downturned ears, dirty paws and bandages can be restored for repeated animal rescue play. Give us a home to call our own! Rescue Runts are adoptable pets that you rescue, groom & love! Care for your rescue puppy to take them from Ragged runt to perfect pet. Clean them up again and again! 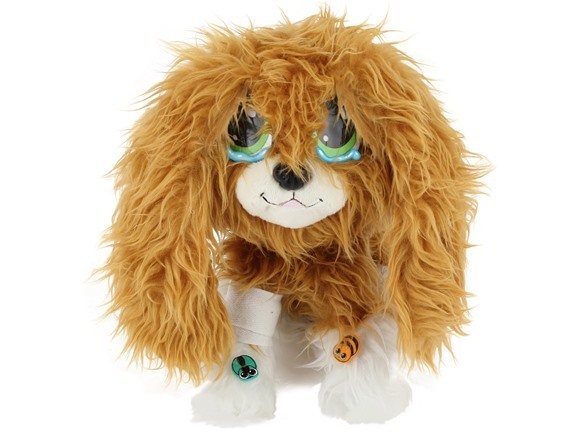 Rescue Runts' messy fur, downturned ears, dirty paws and bandage can be restored for repeated rescue play. 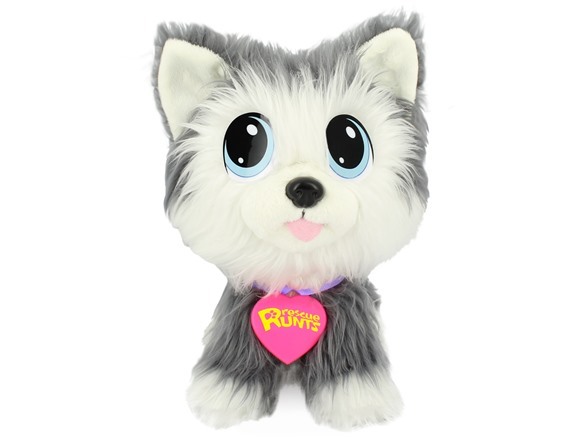 Soft and cuddly plush perfect for plenty of puppy snuggles! Adopt all four puppies and give them a home to call their own!